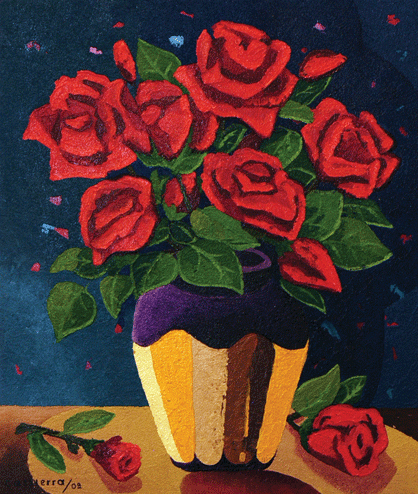 "Roses in Vase" Oil on canvas, 20" x 16.75"
Mr. Cassierra is a hughly popular street artist in Soho, New York. He has won numerous awards and has been exhibited in many parts of the east coast of the United States. His distinctive style of bold colors and cubist technique have made him one of the more popular street artists of Soho.